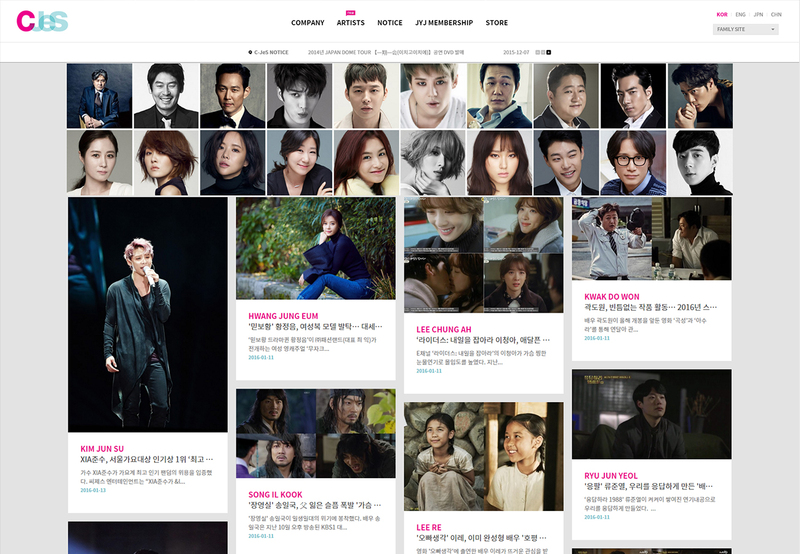 South Korean entertainment company, C-JeS Entertainment revamps its website for the new year. The website was redesigned three times in a period of six years. 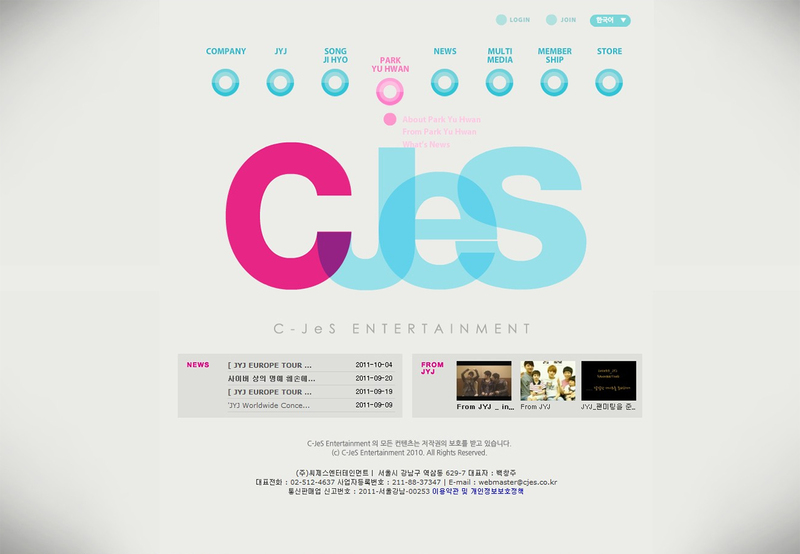 Back in early 2010, C-JeS Entertainment website was launched to cater news and everything JYJ shortly after the boyband was officially debuted. As the company was founded solely because of the trio, the early website also allowed fans to engage with other stars including Park Yu Hwan and former C-JeS artist Song Ji Hyo. Membership service was opened in the following year to offer fans privileges and access to special contents including a chance to attend fan meetings and the annual JYJ Membership Week. C-JeS Entertainment also includes News to keep fans up-to-date to the latest happenings around the stars and important announcements, and Multimedia to showcase photographs and videos from live concerts, special events, photo shoots and drama sets in its website. Fans can also register in the C-JeS Store to purchase new albums, exclusive concert goods and other merchandise of JYJ. The design of the website was initially clean and a hint of grey background with only blue and pink colored icons to suit the company’s logo. Different languages are offered to fans around the world to access news and announcements in English, Mandarin and Japanese. 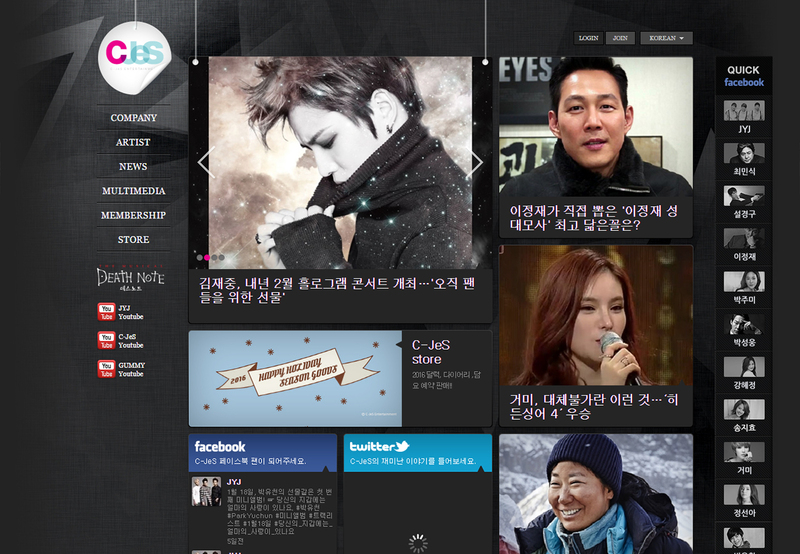 The second makeover in 2012, C-JeS Entertainment went for a darker background with menus appearing on the left side, and featured contents and social media feeds displaying on the main page. Schedules of each artist could be found in their own pages for fans to learn more about their upcoming activities. Talented individuals have chances to get signed with the company through the Audition section. As of today, it’s been revamped to a minimalist design and brings back the clean background with black and white text and icons. The new photo-based website enables news to be browsed all within the main page without being redirected to another section. The new site filters news according to different artists and can be accessed in their respective profile pages. Headlines of notices and announcements are now stretched horizontally at the header of the page. If you are interested in three other C-JeS Entertainment divisions including C-JeS CULTURE, C-JeS PRODUCTION and C-JeS MODEL EDITION, the links to these sites are placed at the top right of the page. Multimedia, unfortunately, is nowhere to be seen and the question remains if fans can still check out exclusive photos and videos of their favorite stars and this applies to the schedule pages as well. Audition has been removed from the main page. Exclusive contents are still available to its members upon logging in to the site. Currently, C-JeS Entertainment has a total of 33 artists ranging from recording artists to actors and actresses. I like the title of your website, it denotes unveiling beauty and history.